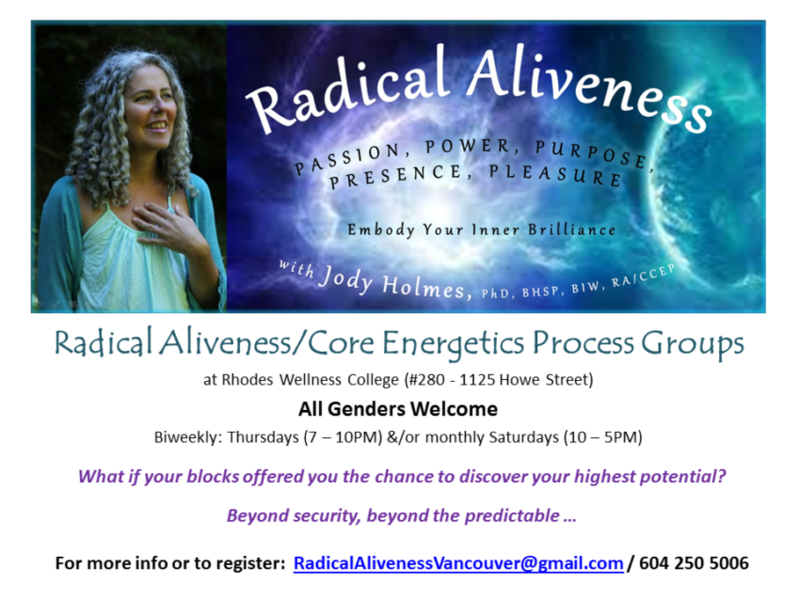 Interested in checking out Radical Aliveness? 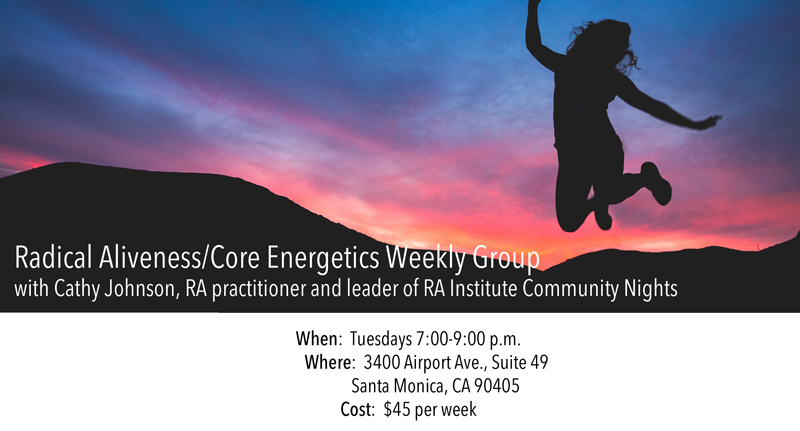 Come to one of these ongoing weekly process groups in your area! 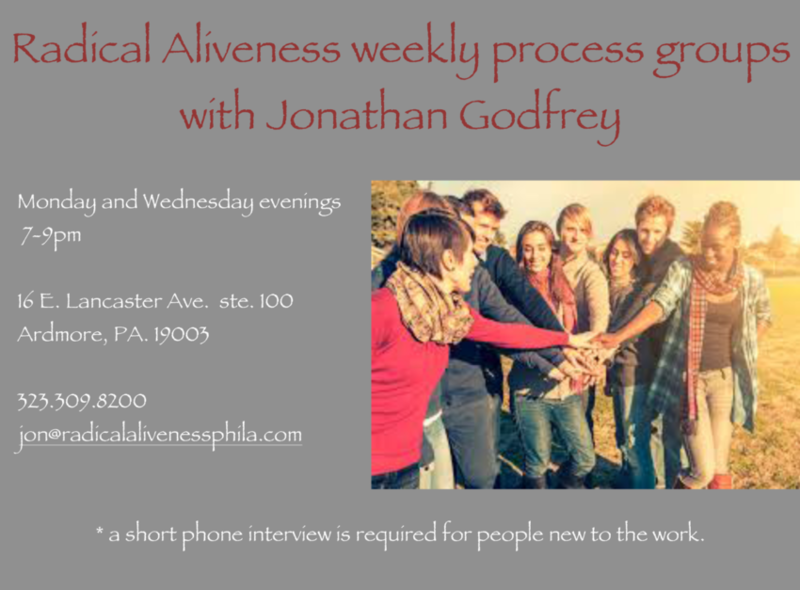 Contact: cathyjohn@jps.net for more information and to join. 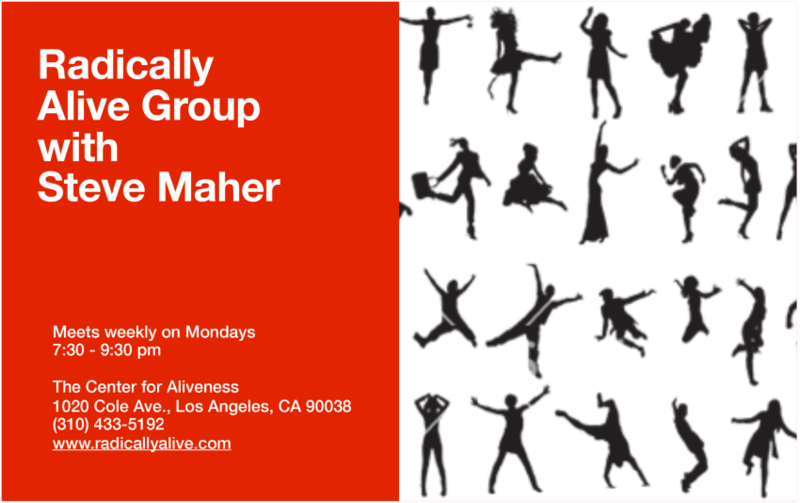 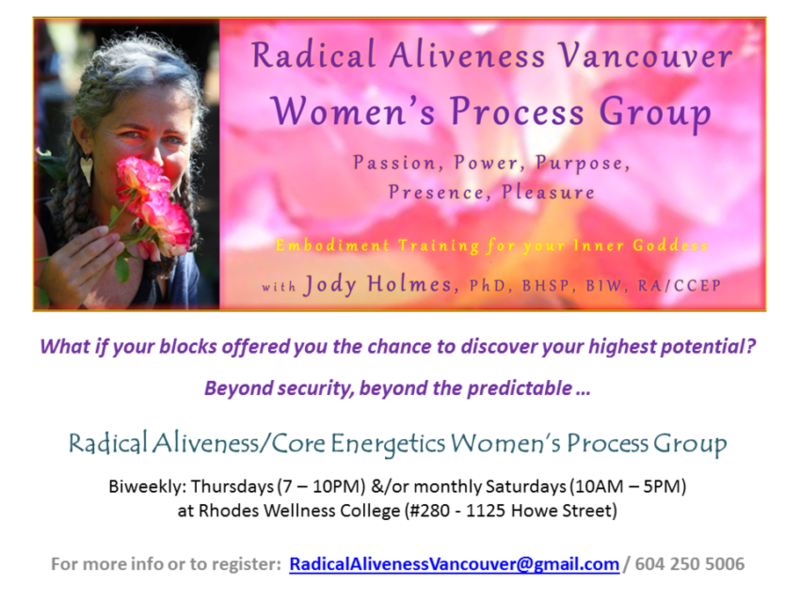 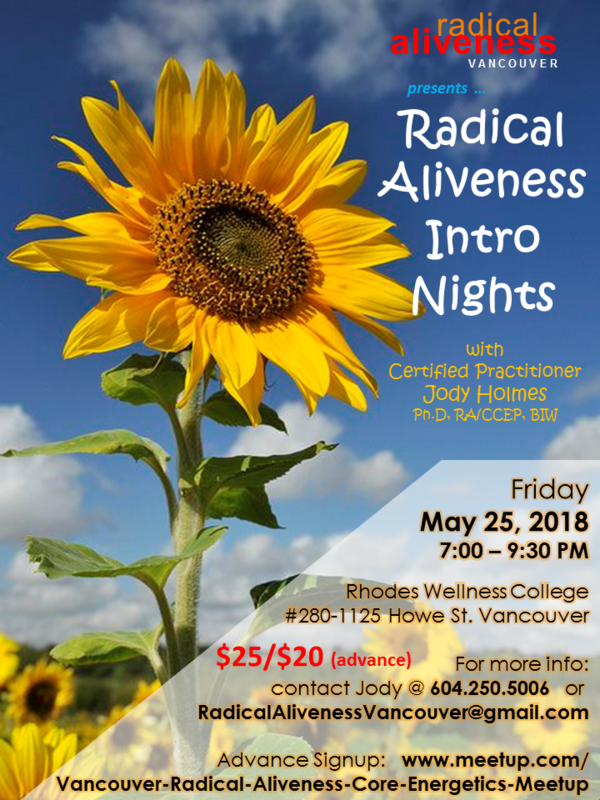 Radical Aliveness practitioner approved group!